A JetBlue flight from Long Beach, Calif. to Austin, Texas was 15 minutes into its flight and over the ocean when its right engine failed, forcing an emergency return to Long Beach. Overall, 147 passengers and crew experienced the worst nightmare, the thing we hear every time we fly but never think will happen to us: the oxygen masks dropped from the ceiling as the cabin filled with smoke. Passengers like YouTube user mikefwelch took to the Internet nearly immediately to document the scary emergency landing. On the video, you can see and hear the panic from passengers as the captain tells of the engine blowing and flight attendants spring into action to try to keep as much calm as possible. Actor and musician Jackson Rathbone was on board with his wife and son and shared much of the experience on Twitter and his Whosay account. Rathbone was one of many passengers who praised the JetBlue flight attendants for springing into action when the oxygen masks were not releasing properly. Even with the bravery, passengers were still scared that the plane would not make it back to safety. 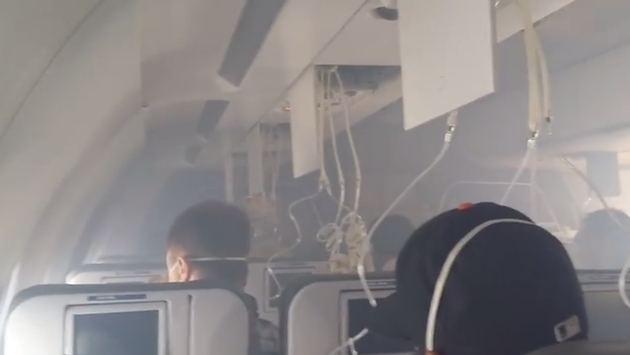 "It was pretty nerve-wracking, man, you couldn't see really in front of you, the entire plane filled with smoke all the way, lot of loud banging," passenger Shaun Mahoney told ABC7 in Long Beach. 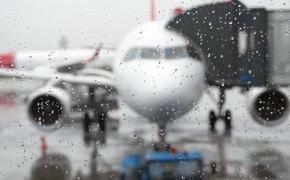 "Everyone was crying," passenger Dean Delbaugh told CNN. "I thought this was it." Flight attendants prepared passengers for what could be a very rough landing. The landing was caught on video, again by YouTube user mikefwelch. The landing ended up being easier than expected, according to Rathbone. But still, passengers were told to get down the emergency slides as fast as possible and run away from the plane, as crew feared another engine may blow. Four people were hurt in the incident, one taken to the hospital while the others were treated and released on site.